Scott Eblin is president of The Eblin Group, a leadership development firm committed to helping clients lead at their best and live at their best. 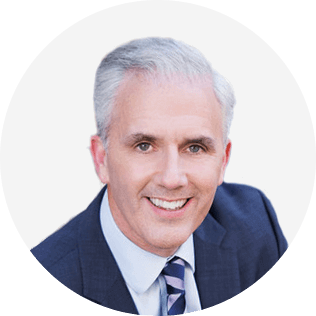 As a leadership expert, global speaker, best-selling author, and executive coach, Scott works with some of the best-known companies and organizations in the world. Scott works with managers and executives who want to lead and live at their best in a constantly changing world. He does this by confronting head-on the reality of today’s 24/7 environment and helping clients create repeatable actions that lead to positive outcomes. He advocates simple, practical and immediately applicable steps that help leaders consistently be at their best – not just in their professional lives, but also at home and in their communities. Scott’s work and experience is captured in two best-selling books: The Next Level: What Insiders Know About Executive Success and Overworked and Overwhelmed: The Mindfulness Alternative. Business Book Review calls The Next Level a “fascinating read” that “is full of potentially career-saving advice.” Overworked and Overwhelmed was named one of the ten best business books of 2014 by The Globe and Mail. The third edition of The Next Level will be released in the Fall of 2018. Scott’s own journey informs his work with leaders in the world’s best organizations. A former Fortune 500 executive, Scott co-founded The Eblin Group in 2000. The methodologies used in Scott’s coaching as well as the content of his keynotes and workshops are influenced by his professional experience and by his own quest to redefine his “best” after a diagnosis of multiple sclerosis in 2009. Faced with this new reality, he redrew the routines in his life to show up at his best both professionally and personally. His life experience along with the difference he’s made for thousands of leaders in well over 100 companies makes Scott uniquely qualified to help his clients lead at their best and live at their best. Scott is an honors graduate of Davidson College and holds a master’s degree in public administration from Harvard University. He has a certificate in leadership coaching from Georgetown University and was a 10 year faculty member of that program. He holds the designations of Professional Certified Coach from the International Coach Federation and Registered Yoga Teacher from the Yoga Alliance. Taking on a new role, increased scope in an existing role, operating in a constantly changing competitive environment – all of these are next level situations that our executive coaching clients regularly face. What can we as coaches do to support them in these challenging transitions? Based on the research and experience behind the upcoming third edition of his book, The Next Level: What Insiders Know About Executive Success, Scott Eblin will highlight the behaviors that executives typically need to pick up and let go of to succeed at the next level. Drawing on the results of more than 1,000 360 degree assessments he’s run on the Next Level model of leadership presence, Scott will identify the behavioral characteristics that make high potential leaders successful in the first place and the changes they most often need to make to sustain their success. Scott will also teach you how to use some of the simple, practical and immediately applicable tools and techniques he uses with his clients. In the full session, Scott will go deeper on all of these topics and also share the self-coaching process he teaches his clients so they can sustain their progress after the coaching engagement ends. 1. How to create awareness with your clients of the behaviors they need to pick up and let go of to be successful at the next level. 2. How to help your clients design and take action on the next level behavioral opportunities that are in the sweet spot between relatively easy to do and likely to make a difference. 3. How to help your clients manage their progress and hold themselves accountable by engaging colleagues in their development.